The client is a leading service provider in Real-estate domain. The client intends to develop a Real-estate web site which can search for homes by school districts, addresses, MLS number, city and zip codes. The site should provide an advanced search. The site should also provide the property owners to list their property. Property listing should be fast and easy. STPL has had experience of building both the front office as well as back office applications in Real Estate domain. STPL has worked for large Real Estate companies as well as small and medium size agents. 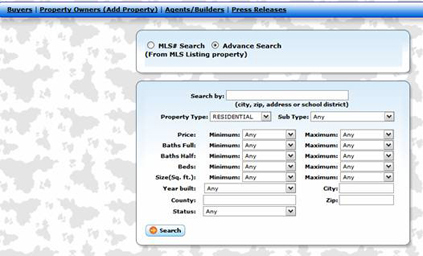 Search using school district, address, MLS number, city or zip code. Check out nearby schools, parks and where you work in relation to homes. Create a map of your commute to work, school, etc. Use the many different search criteria to pinpoint your search. Compare home prices and identify which homes are priced above and below market value based on comparable properties. This site provides the best in the Real-estate search an advanced search and property listing. Search can be done by school districts, addresses, MLS number, city and zip codes. Application provides “For Sale By Owner (FSBO)” option for listing their property. These properties are searchable along with the listings provided by MLS is fast, easy and affordable manner. The team faced many challenges in building this real-estate site. secure and fast to load.